Mission: The Rijksakademie residency is a place for research and production for talented, professional artists from all over the world. There are fifty-five studios where, for a period of two years, resident artists can conduct research, experiment and work on projects and production. Large project spaces are available for trial projects, collaboration and presentations. There is no program, no prevailing stylistic approach or ideology. 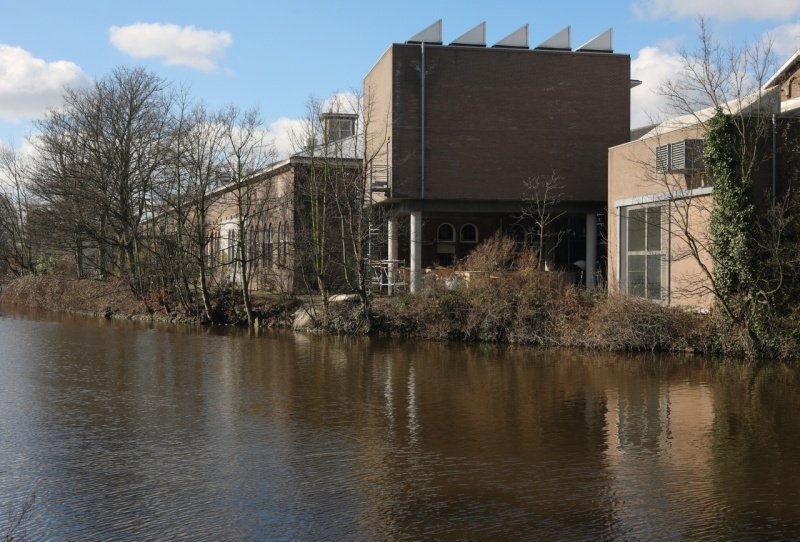 The Rijksakademie offers support and opportunities. Cost: The Rijksakademie and De Ateliers are partly supported by the Dutch government and the Mondriaan Fund. The Rijksakademie Trust Fund and the Ateliers Support Fund raise additional funds from private and governmental foundations, corporations and private donors, both nationally and internationally. Every resident artist has to make effort to raise a Fellowship of € 15.000, preferably in their home country. Before starting the residency each resident is required to pay an annual contribution. In 2014 this will be €2,750. A resident artist receives a stipend of 12.500 euro including 1500 euro material budget. A non-refundable application fee of 50 euro is charged, with an exception for artists living in the following countries (more information in the application form). Accommodations: Together, the Rijksakademie and De Ateliers offer 60 studios on two locations. Every year, some 30 studios will become available. A residency at Rijksakademie/De Ateliers lasts one year and can be extended with another year. Artistic, theoretical and technical facilities and expertise are the basis of the residency. In addition, advices on practical and financial matters like housing and residence permits are offered. Demographic: Application is open to artists at the beginning of their professional development, with a focus on artists 25 — 35 years of age. Artists younger than 25 or older than 35 are also welcome to apply. In general, resident artists have completed their (art) studies and have worked independently as artists for three to five years prior to their application. Benefits: All artists admitted have access to facilities of both institutions, including a private studio, workshops, libraries, artist’s talks, seminars, open studio events, administration services, housing services, et cetera. The teams of advisors (Rijksakademie) and tutor artists (De Ateliers) will be integrated gradually. Large-scale exhibition with more than 7,000 visitors during Rijksakademie Open Studios. Living accommodations made as well as a partial-stipend available. Posted in Netherlands, Rijkakademie van beeldende kunstenTagged Art, art library, art residency, Artist, Artist Residency, arts, Contemporary Art, Drawing, Fall Residency, Fellowship, Film, Installation, International, Large format printers, Music, Netherlands, Painting, Partial Stipend, performance art, Photography, Print Shop, Printmaking, Printmaking Studio, Rate My Artist Residency, Rijkakademie van beeldende kunsten, Rijksakademie, Sculpture, Social Practice, Spring Residency, Stipend, Studio, Summer residency, video art, Winter Residency, workspaceBookmark the permalink. Yes! Finally someone writes about Check it.